Does Your Home Appliance need repair? Your refrigerator not cooling? Oven not heating up? or maybe your washer is not draining? Don't let your broken appliances bring you down. 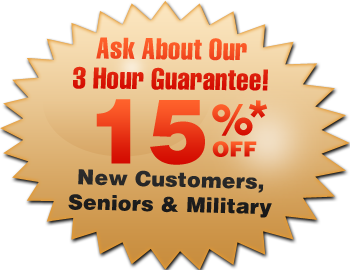 Call San Diego Appliance Repair NOW and we will send a factory trained technician to your house in 3 Hours or Less. Your appliance will be fixed before your family even notices it's been broken. Don't take chances bringing a "repairman" to try and fix your appliances. Call San Diego Appliance Repair now and have a factory trained and insured technician to repair your appliance today! refrigerator repair, washer repair, oven repair, dishwasher repair, dryer repair, stove repair, cooktop repair and more. GE, Sub Zero, Viking, Frigidaire, Bosch, Maytag appliances, Amana, Samsung, Roper, Kenmore, LG, Thermador, and most appliance brands. FREE Diagnostic - with San Diego Appliance Repair you only pay for the parts and labor when you finish a repair. If you complete the repair with us we waive the estimate fee. GUARANTEED Service in 3 Hours Or Less– We value your time. In most cases we can get an appliance repair San Diego technician to your house in less than 3 hours. Need an evening appointment? Maybe on the Weekend? No Problem, no extra charge for that as well. with us the best ever. We have the nicest most knowledgeable customer support team in San Diego. Give us a call and see for yourself! Get It Done The First Time – When something breaks down we usually want it fixed, yesterday if possible! This is why our technicians carry extensive parts inventory on their trucks. We finish most appliance repairs on the first visit. Certified, Licensed and Insured – We get only the best appliance repair technicians in San Diego to work with us. All of our technicians are licensed and certified by most major home appliance brands and insured with a $1,000,000 liability insurance. Repairing All Major Brands – We repair most major brands. From basic to high end to antiques. We got you covered. Our technicians are trained to repair even the most complicated issues. our list includes: GE, Maytag, Frigidaire, Sub Zero, Viking, Thermador, Dacor, Amana, Samsung among other major appliance brands. No Lemon Quotes – Our quotes are set in stone. We will never charge you hidden fees. With appliance repair San Diego it's all simple - What You See Is What You Pay.